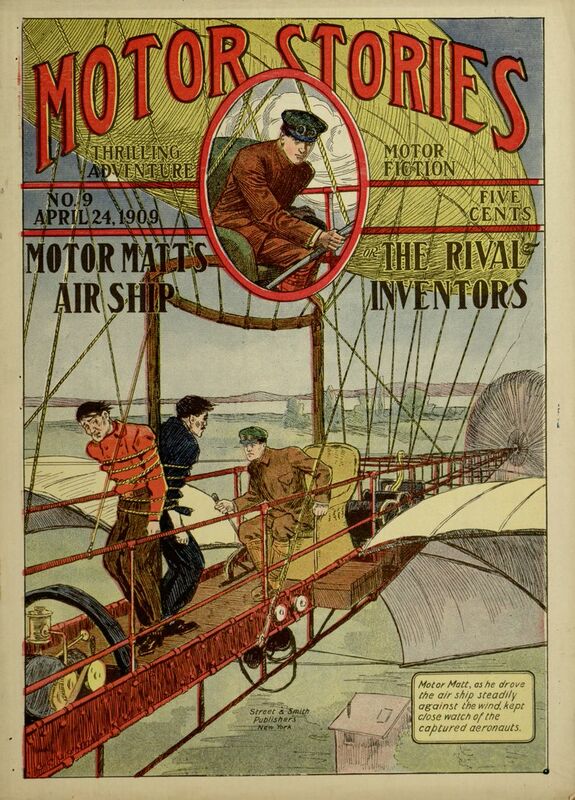 Another issue of Motor Stories has made it through the Distributed Proofreaders project. 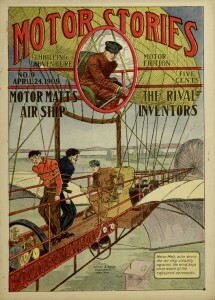 Motor Matt’s Air Ship; or, The Rival Inventors, the ninth adventure of the series, sees Motor Matt make his first flight after falling foul of a corrupt air ship designer. The adventure is noteworthy both for its aerial theme (which includes some interesting information about the workings of balloons) and for the introduction of Helen Brady, a female character who seems designed to match Motor Matt in bravery, resourcefulness and dedication to principles. This issue’s filler story is “The Big Cypress,” a brief tale of attempted crime set in the wilds of Florida. The entire book can be read online or downloaded from Project Gutenberg.